inside.Passive exercise progressive to non-passive. opposite full back and repeats the practice. close down passively player with ball. 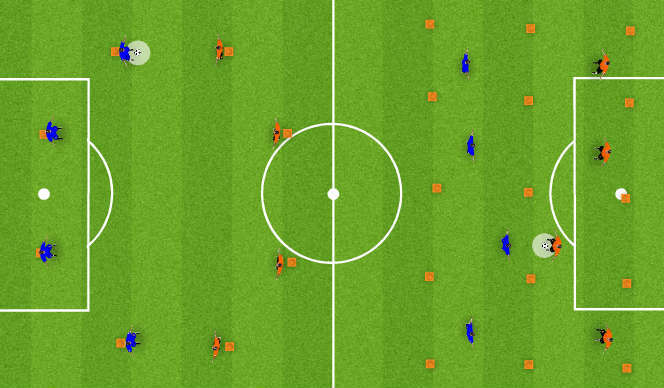 into their own grid and join the play. Two Orange players must transition over and defend. 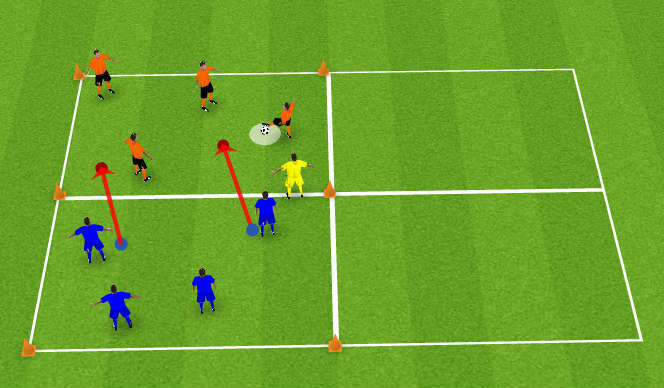 At any time if the defending team knocks the ball out of the grid they are rewarded by a change of possession and a new ball is sent into their grid. 4 v 4 with 4 small goals. The pitch is 40 yds wide but only 20yds in length. 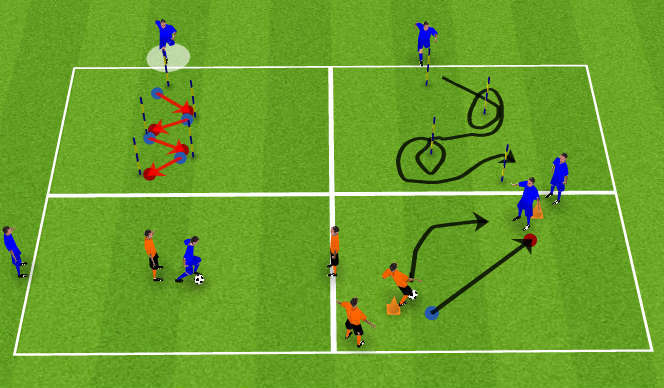 The focus is to keep back four shape and when the players see an opening then drive forward and run the ball through the goal for a point.